You’d have to be blind to not realise that lately there’s been a complete revival of everything 90’s. And I really do mean everything: the good, the bad, and the downright ugly. This became clearer than ever to me whilst I was out style-stalking on the streets surrounding London Fashion Week a few days ago. Trend followers who had flocked to the capital to get a small taste of the action came clad in grungey plaids, chunky flatforms and printed sweatshirts – channelling the rebellious 90’s style of bloggers such as Luanna of Le Happy. Only a week before this I’d been wandering around the Isle of Weight’s Robin Hill Park witnessing festival fashion at Bestival move away from cliché Boho chic and turn instead towards 90’s brights, as a sea of crazy Timmy Mallett-style shirts stretched out before me in the crowd. Indeed, the revival trend is unavoidable at the moment and as a child of the era I’m certainly not complaining – it’s comforting to see our generation take a group trip down memory lane. 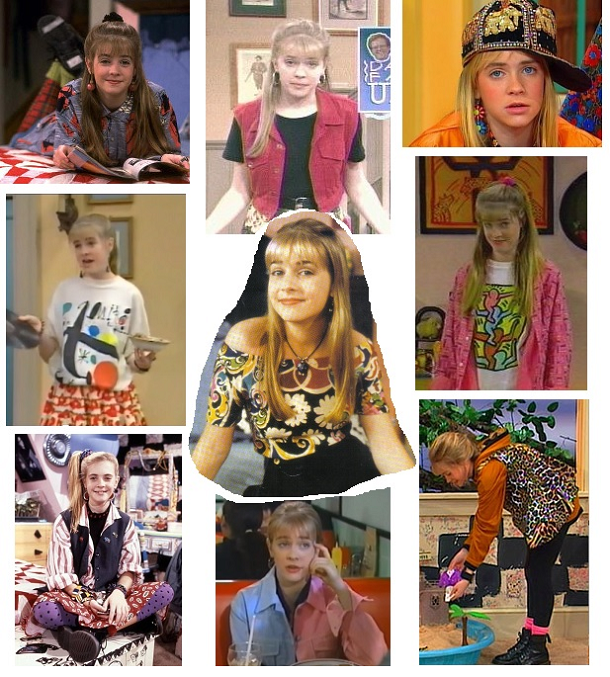 Whilst we’re all style reminiscing, there’s one character that keeps coming to mind who I consider an underrated and forgotten style icon of the decade – Clarissa. If you grew up during the 90’s then there’s no way you could have missed her, or the irritating ‘nah-nah-nanana-nah’ jingle that was drummed into our brain after school every day as her opening credits rolled in: a small, blonde teen appears trapped inside the TV writing her name across the glass screen in huge pink letters. Meet the young, fresh-faced Melissa Joan Hart in her first big acting break, whose endless, animated monologues provided us with what was essentially the first vlogger ever – pre-Youtube, pre-Webcams, even pre-The Internet. 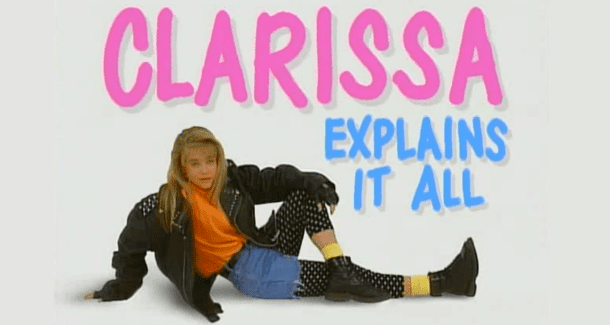 Clarissa ‘explained it all’ to us: how to get a psychic to help you out with school tests, how to handle your annoying kid brother, how to avoid the blind date from hell, and inadvertently – how to put together the nuttiest of outfits. With way more fashion credentials than her more mature Sabrina The Teenage Witch counterpart, the expressive actress – or perhaps her character’s stylist – taught us a huge lesson in style management. Each and every episode features a string of bright and busy, intrinsically 90’s outfits – an array of popping graphic tees, colourful floral skirts, printed leggings, printed shirts, waistcoats, thick headbands, big earrings and of course, all polished off with a pair of DM’s. Sure, all her outfits are a little OTT and deliberately thrown together in the questionable manner of an experimental teenybopper, but I’d still love to have a sneaky rummage through her wardrobe and bring a few bits back to the future. Take for instance her half pink, half purple denim jacket (below), or the patchwork one with tartan squares overlapping denim ones (above). Even her geeky little brother and embarrassing Dad bring some great pieces to the table.